At the time of this writing, winter is officially here. Many parts of the United States are already seeing the coldest temperatures that they are likely to see this year, and, if you’re like most people, you are probably thinking about the necessity of keeping warm as part of staying alive. But you may not have thought about some of the ways, other than sheer cold temperatures, that winter can kill you. Ways such as black ice. Now, if you live in more geographically southern states in the U.S., you may be unfamiliar with black ice. Black ice is ice that is hidden under snow so that the surface looks safe to walk or drive on. No big deal, right? Well, maybe. Black ice is dangerous precisely because you can’t plan for it and take precautionary measures. Black ice on a road can cause you to lose control of your vehicle. If you step on black ice while on foot, you can slip and break a bone or receive a dangerous blow to the head if your head hits the ground. Automobile accidents and head injuries are not to be trifled with. Because black ice is hidden, it’s hard to prepare for, so the best solution is to always take into consideration the idea that an area covered in snow may have black ice underneath it until you’ve had the chance to walk through it carefully to test it. 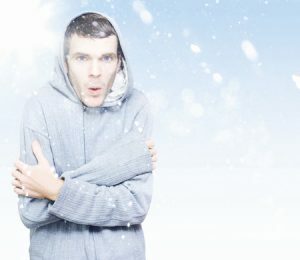 When it is very cold, or if a person is exposed to the cold for a long time, blood flow to some parts of the body, for example the fingers and hands, can drop to dangerously low levels. When there is not enough oxygen-rich blood going to the affected areas, this can lead to tissue cell death. Frostbite begins when your skin becomes numb and starts to turn pale, or even white. You may start to feel warm, but this is not a good sign at this stage because it is an adverse reaction to the frostbite. If not treated immediately, the skin of the affected body parts will start to die and will turn black. One of the scary parts about frostbite is that way that it fools the body into thinking that it is safe and warm enough. In essence, your brain is fooled into thinking that your body is okay which is a dangerous illusion. If you begin to show the symptoms of frostbite, find warmth and treatment as soon as absolutely possible. So, now you know two ways that winter can kills you that you may not have been aware of. The solution, of course, is to stay warm and to be careful so that you can live another day.